Carefully curated to highlight research from more than twenty countries, the International Critical Pedagogy Reader introduces the ways the educational phenomenon that is critical pedagogy are being reinvented and reframed around the world. A collection of essays from both historical and contemporary thinkers coupled with original essays, introduce this school of thought and approach it from a wide variety of cultural, social, and political perspectives. 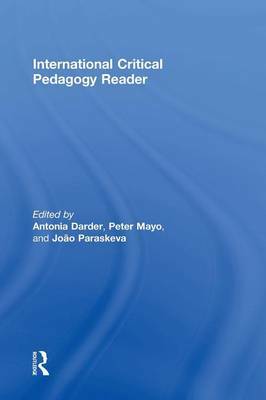 Academics from South America, Europe, Africa, the Middle East, Asia, and North America describe critical pedagogy's political, ideological, and intellectual foundations, tracing its international evolution and unveiling how key scholars address similar educational challenges in diverse national contexts. Each section links theory to critical classroom practices and includes a list of sources for further reading to expand upon the selections offered in this volume. A robust collection, this reader is a crucial text for teaching and understanding critical pedagogy on a truly international level.